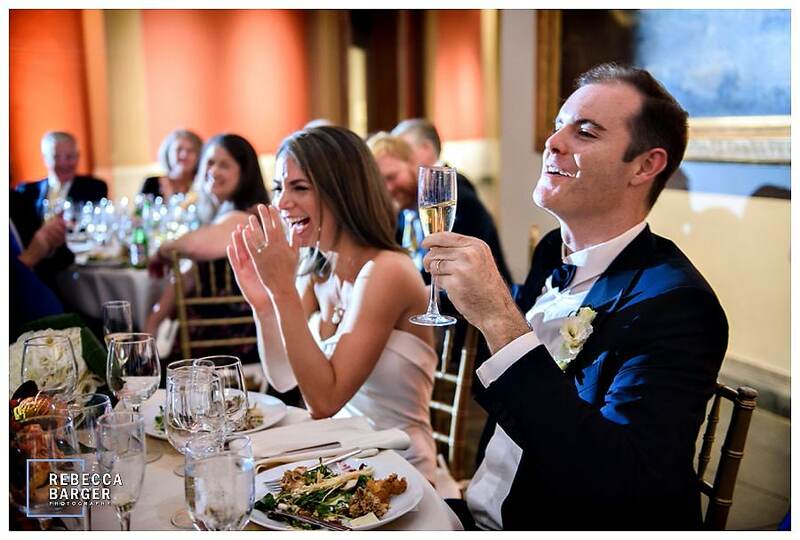 The newlyweds share a laugh and a toast during their reception at PAFA, Constellation Catering Group, Rebecca Barger Photography. 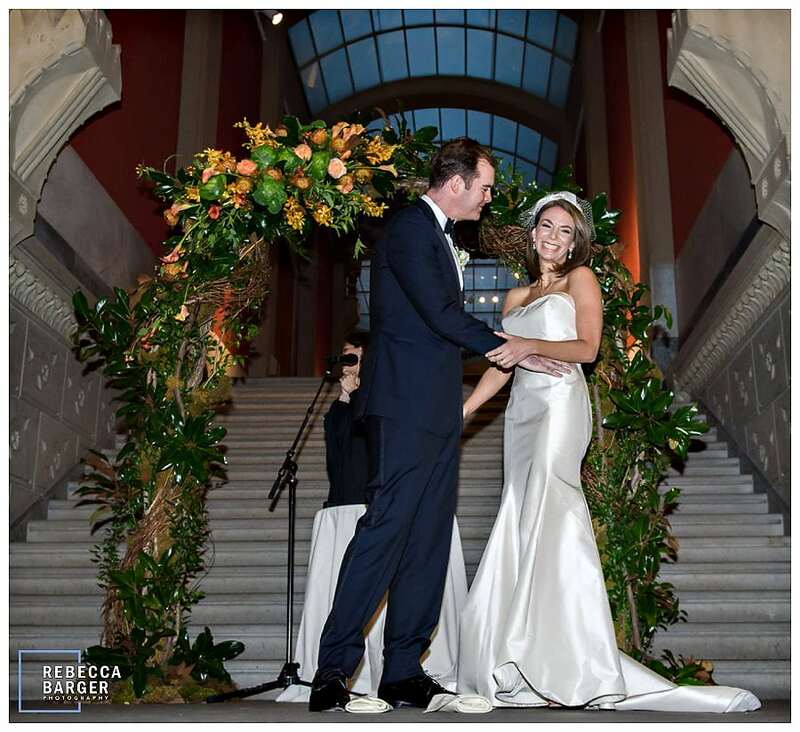 On their wedding day, outside of PAFA. 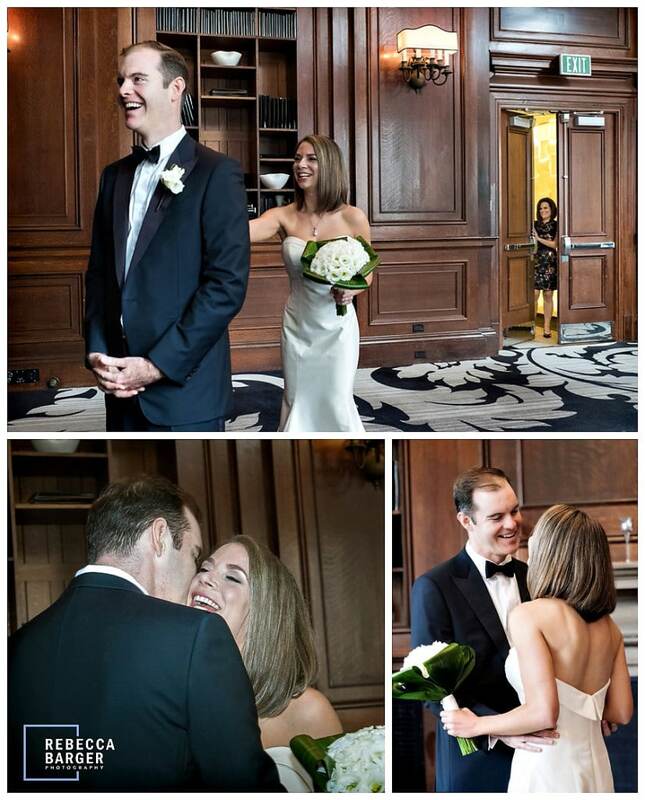 Emily at Le Meridien, prior to meeting her groom for their wedding at PA Academy of The Arts. 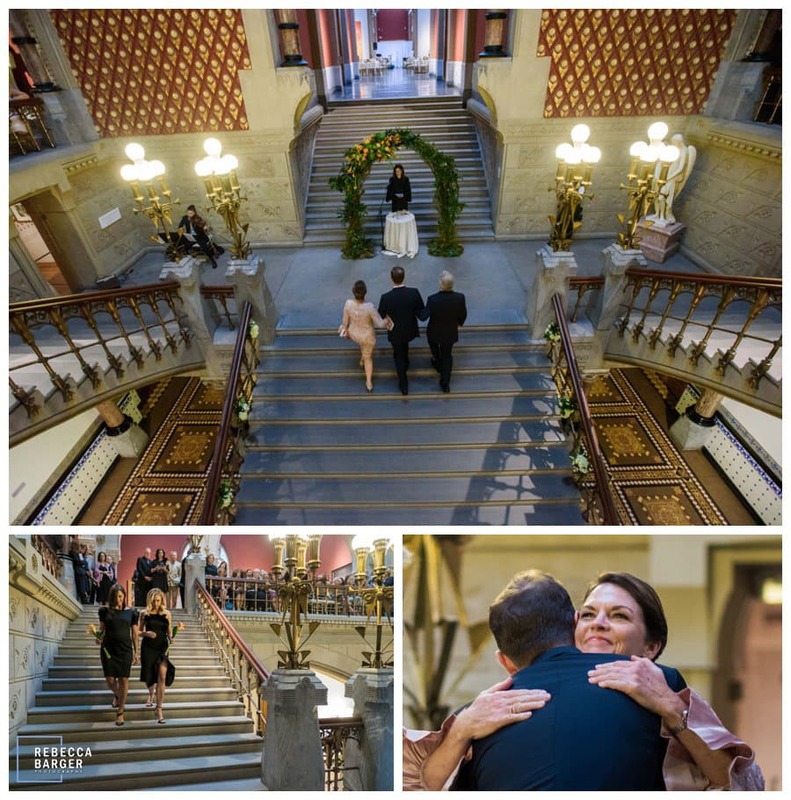 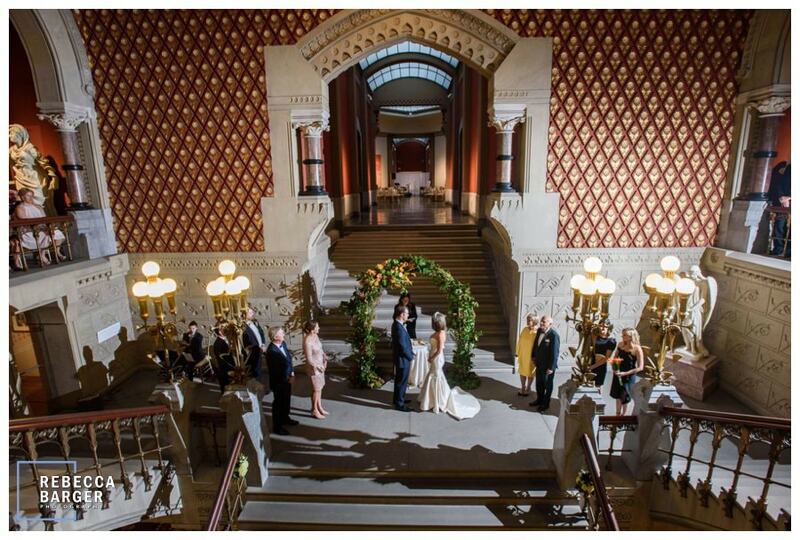 Bridal party on the glorious staircase. 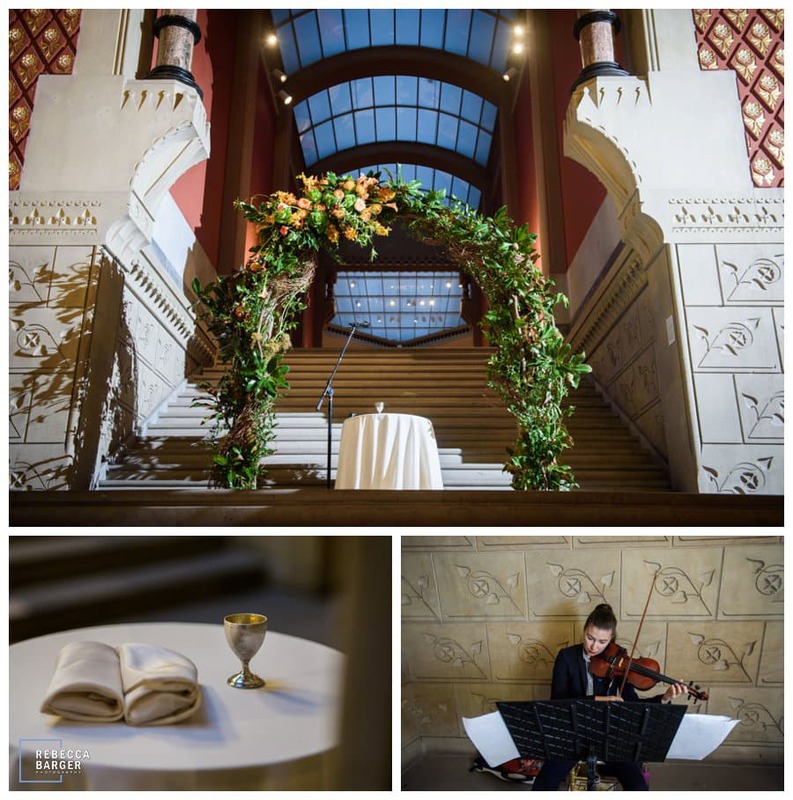 Contrast between the modern Samuel Hamilton building and the Furness and Hewitt building, both offering wedding and event space. 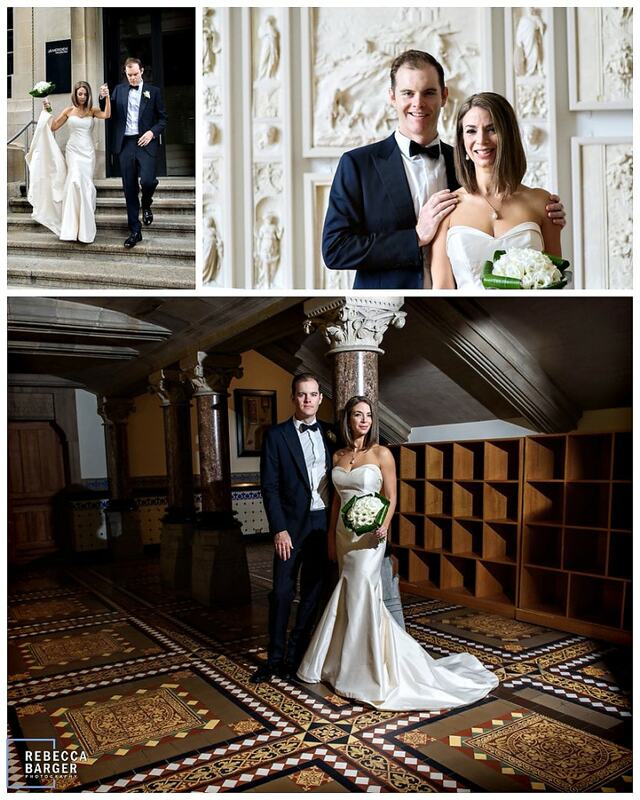 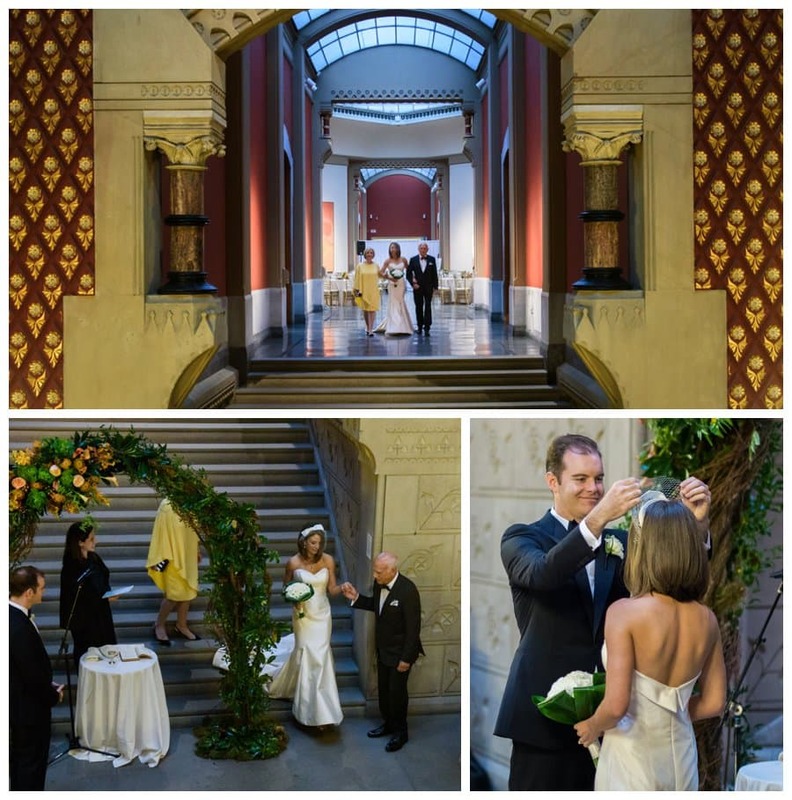 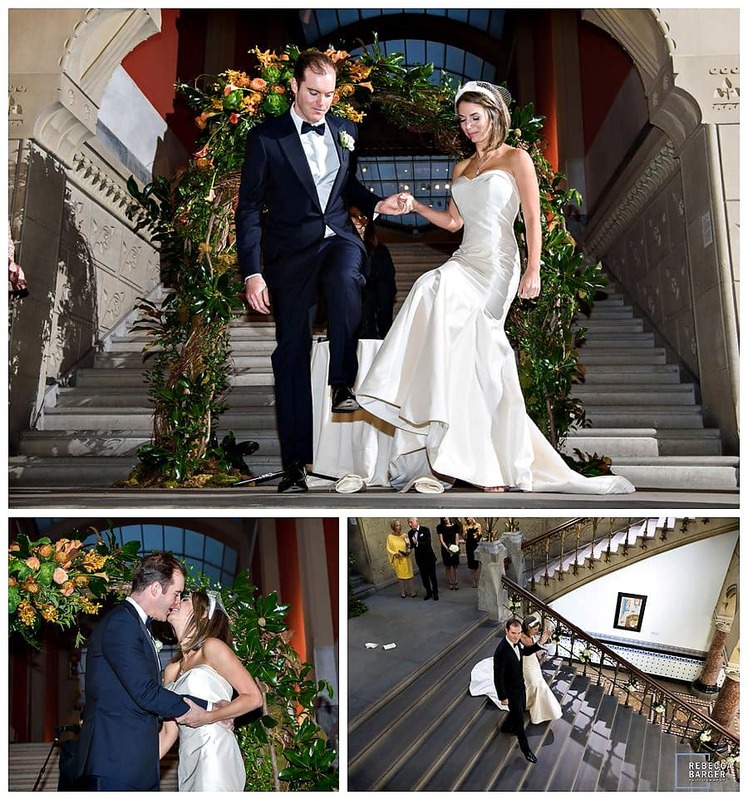 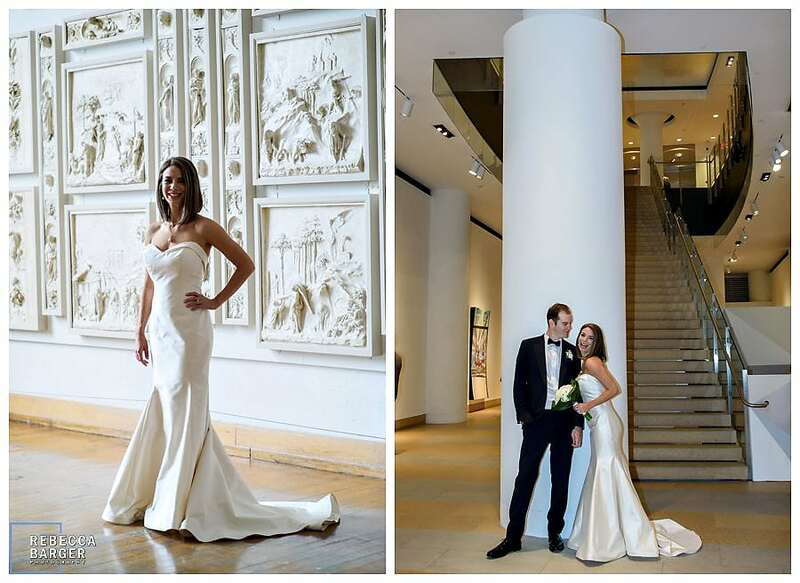 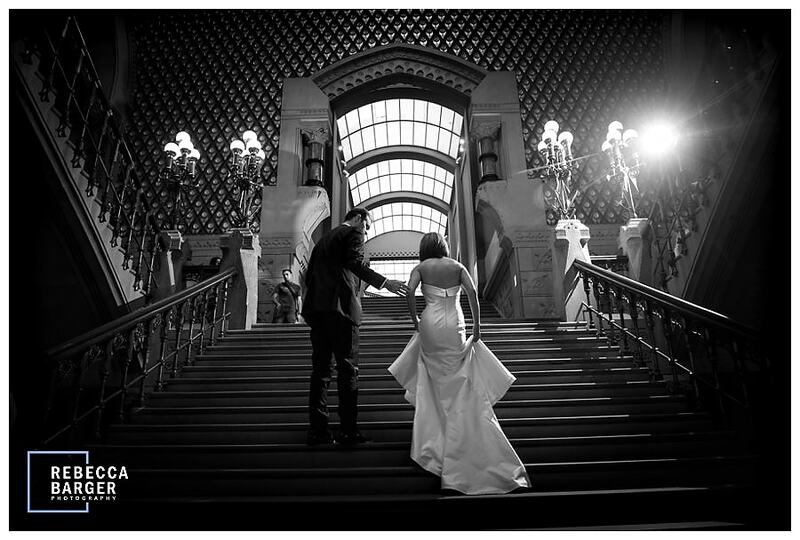 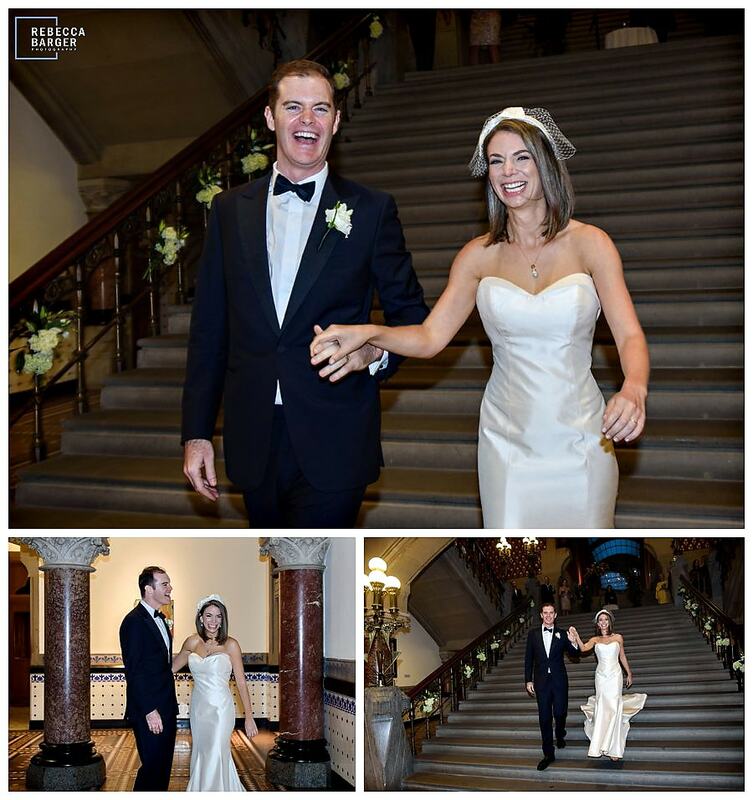 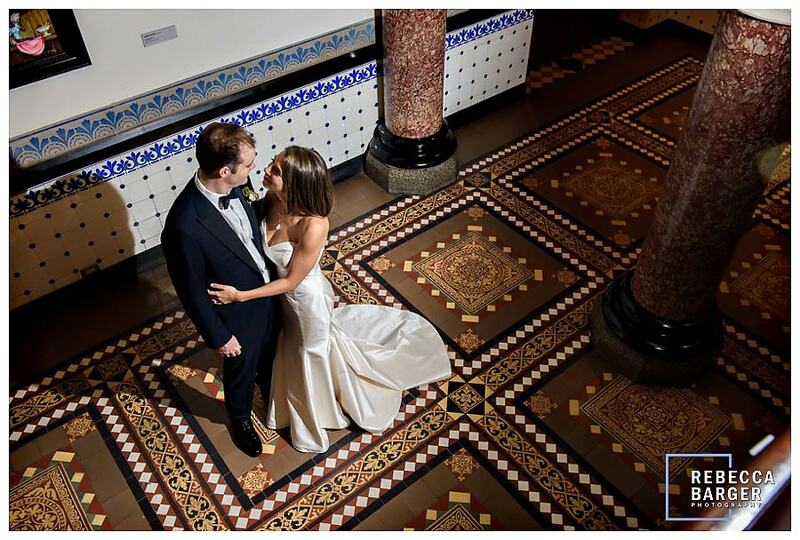 Emily and Johnny in Philadelphia’s PAFA’s Historic Landmark building, with exceptional tile and dramatic flooring. 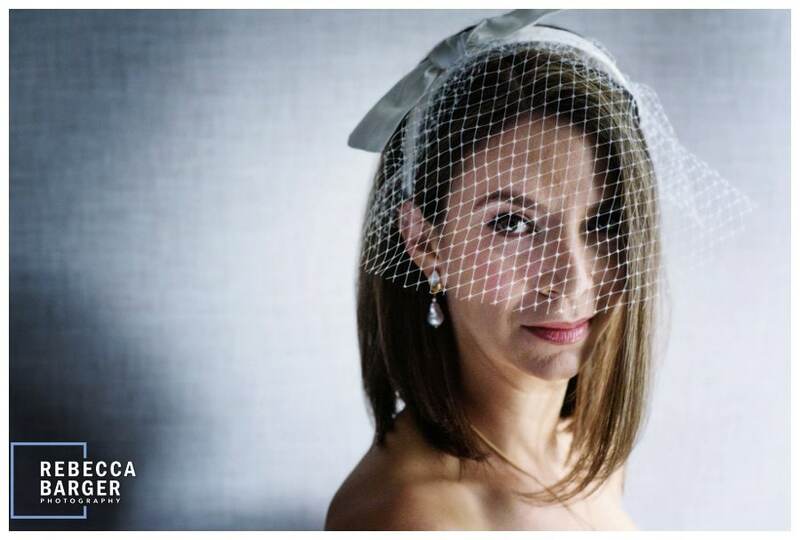 So beautiful in her birdcage, and ready do walk down the aisle! 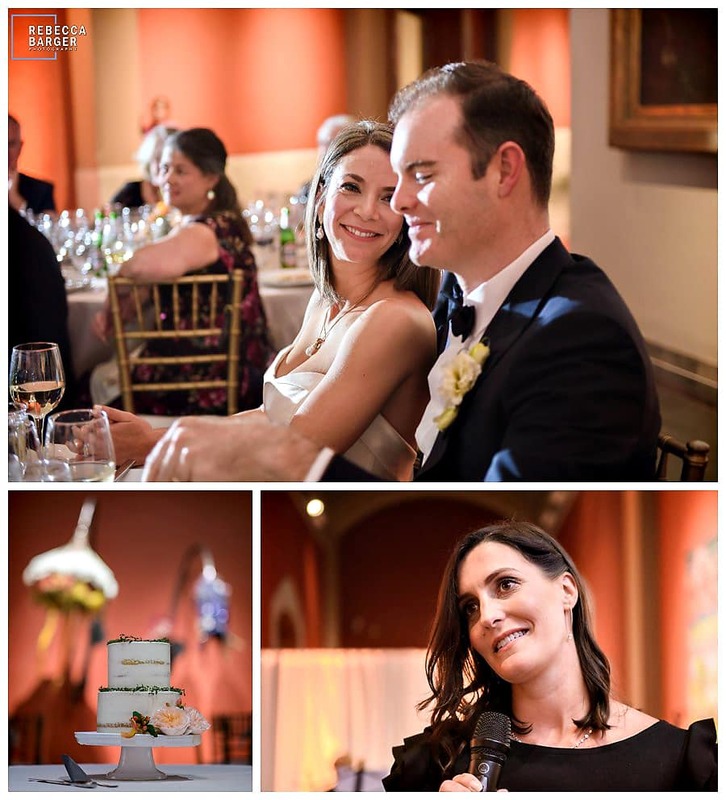 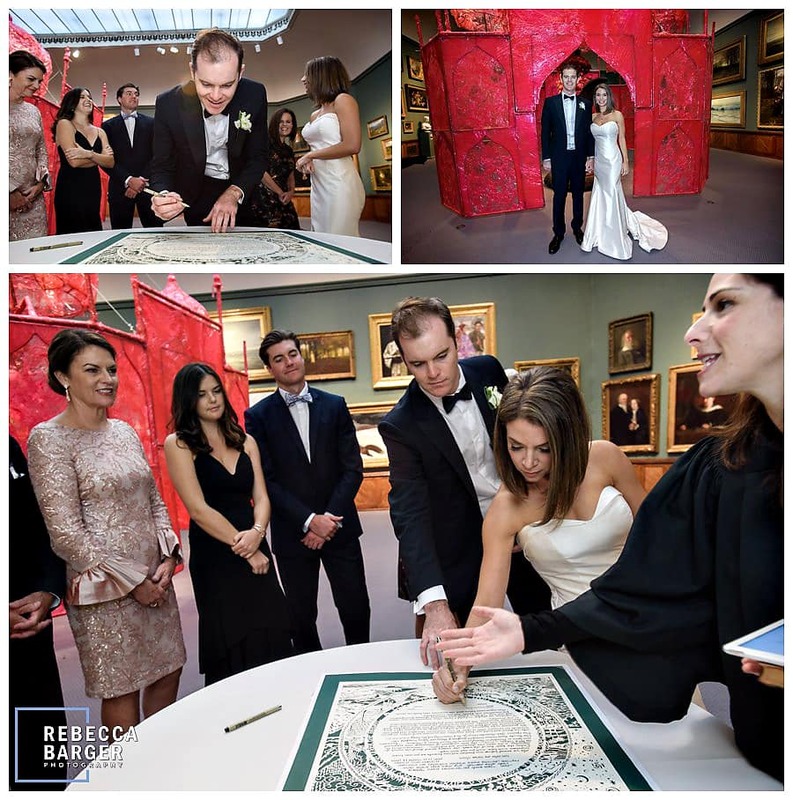 Emily & Johnny’s wedding reception at PAFA, decor by Roberson’s Flowers and Events, cake by Frosted Fox. 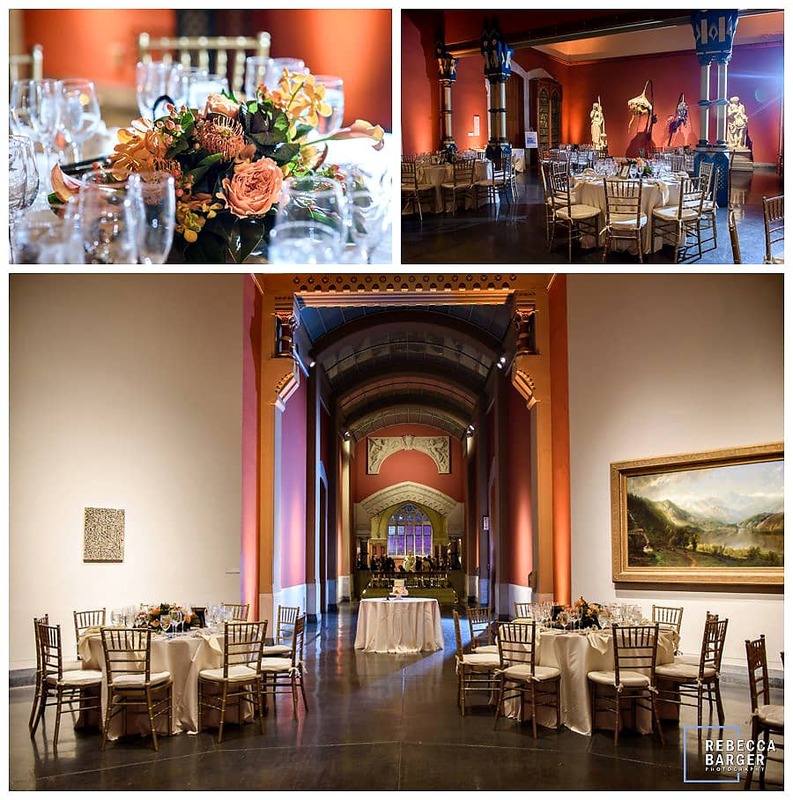 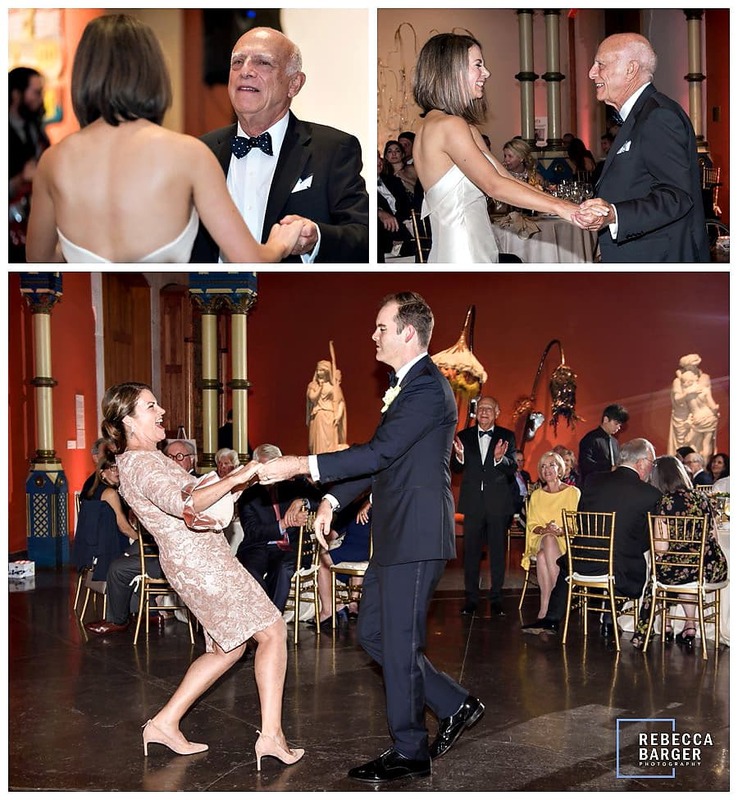 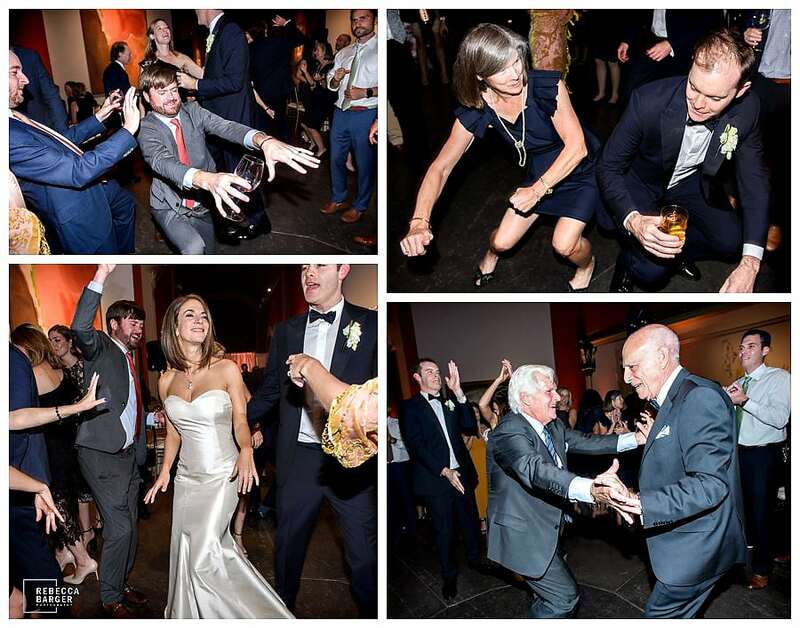 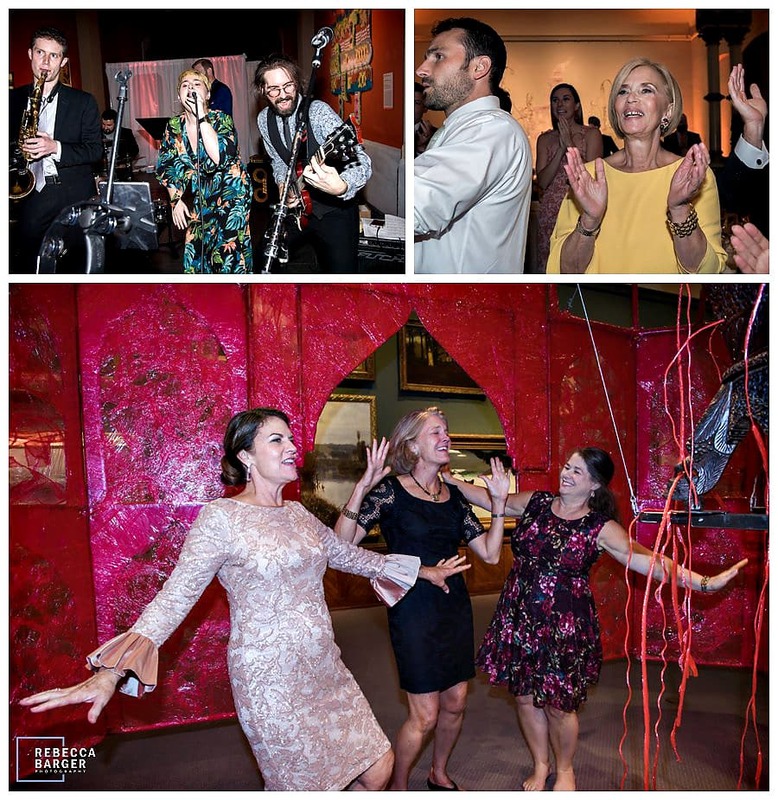 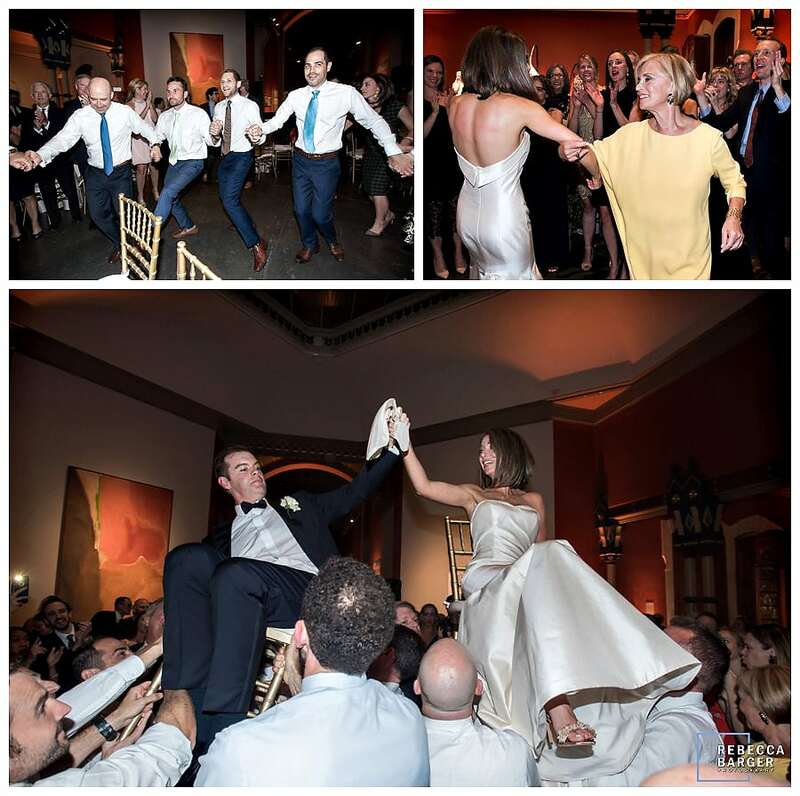 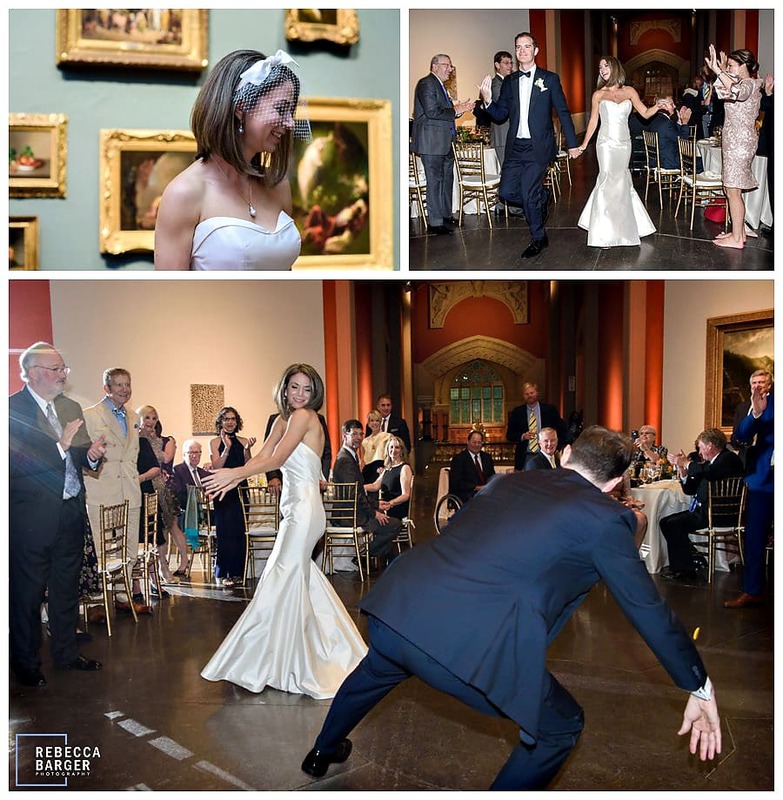 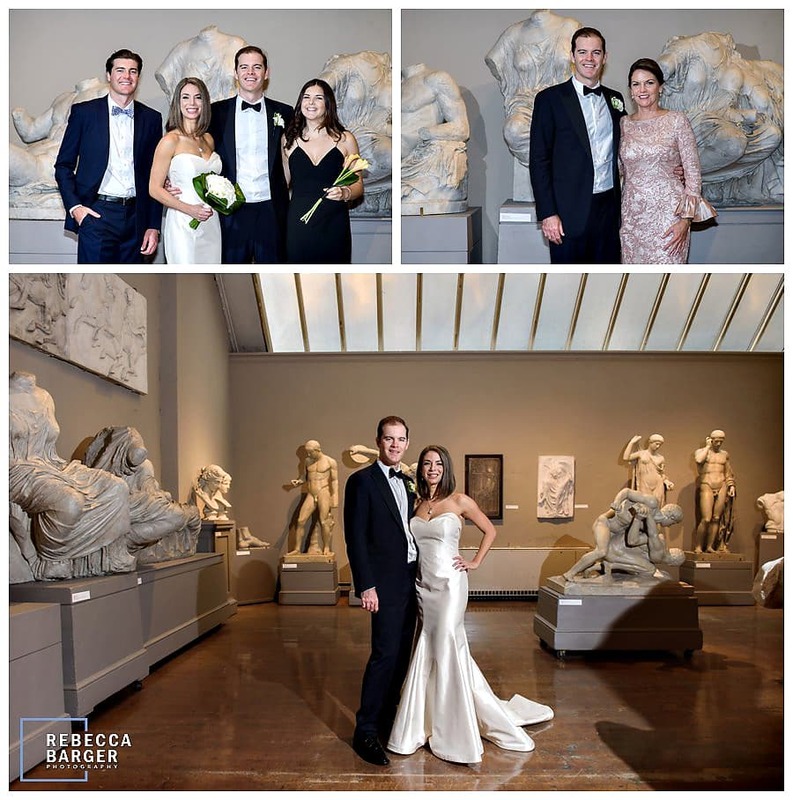 Emily & Johnny’s wedding reception at PAFA’s Historic Landmark Building, Phila., Flowers by Robinson’s Flowers and Events, Chestnut Hill. 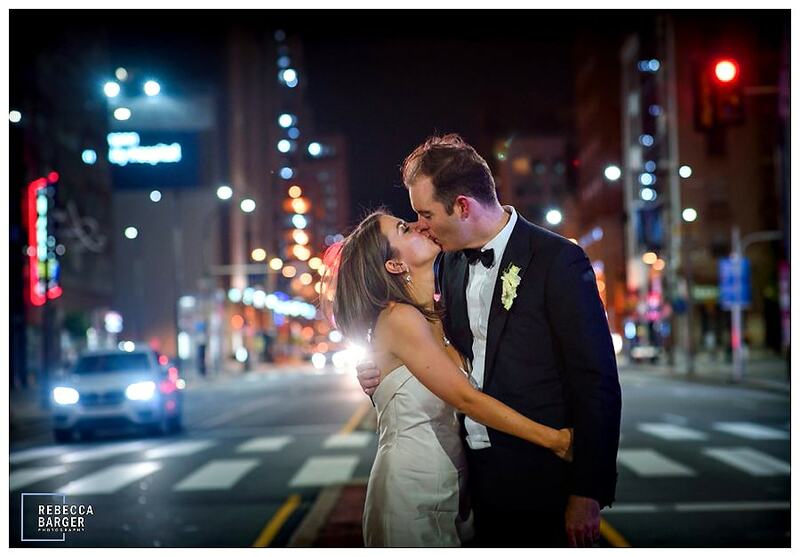 A good night kiss on Broad Street, what a lovely day to get married! 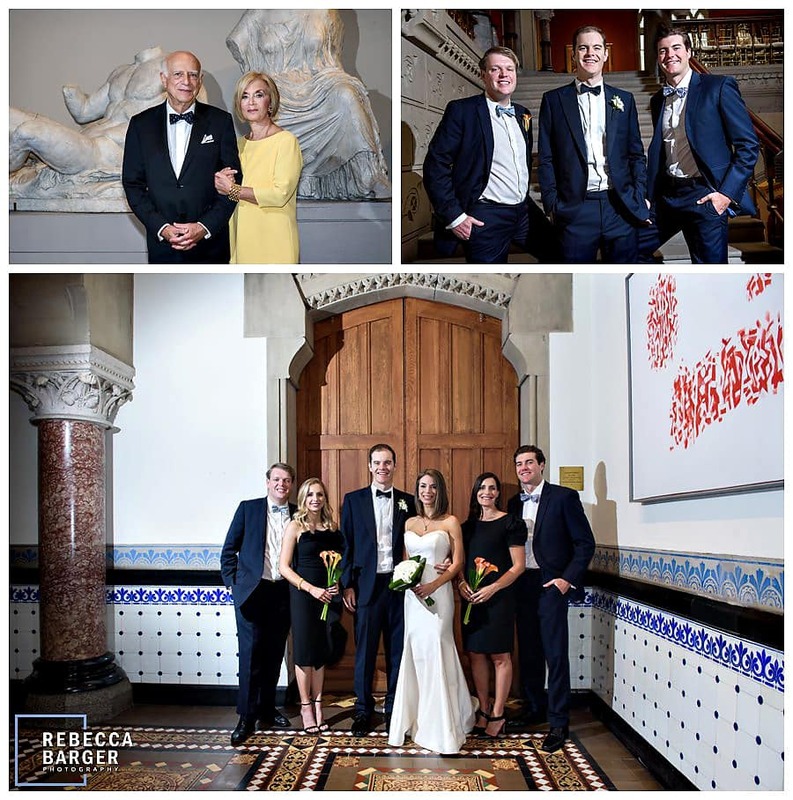 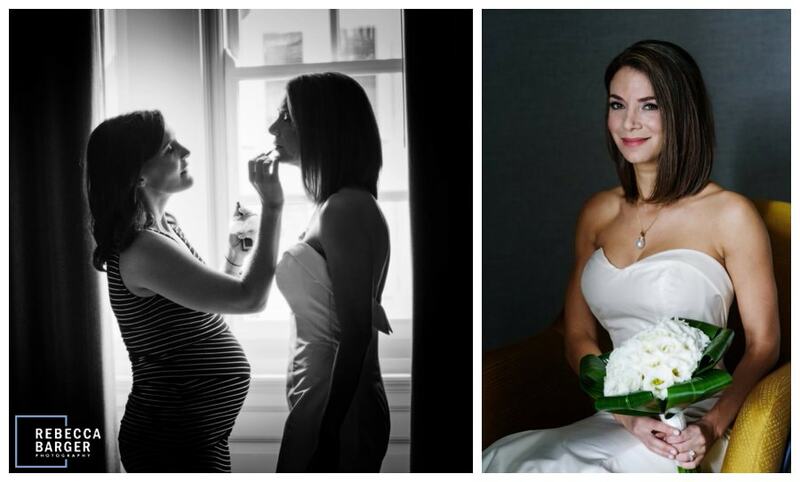 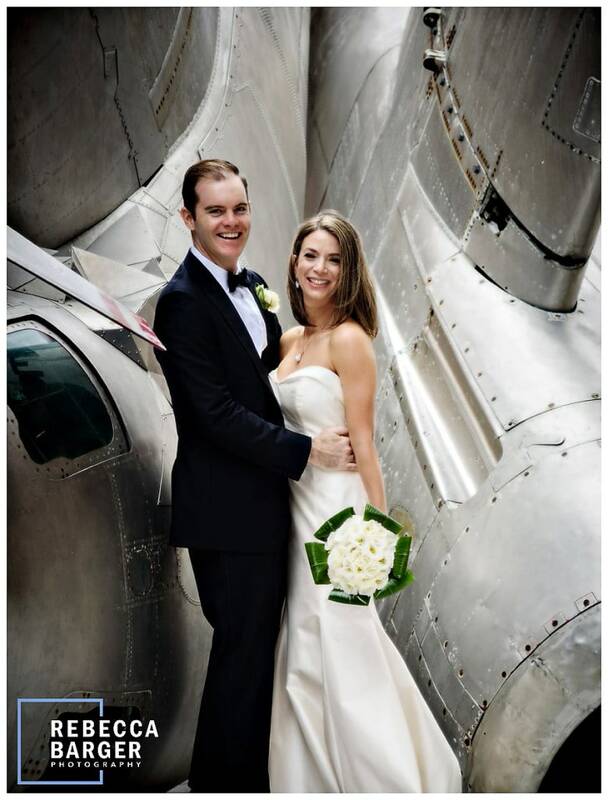 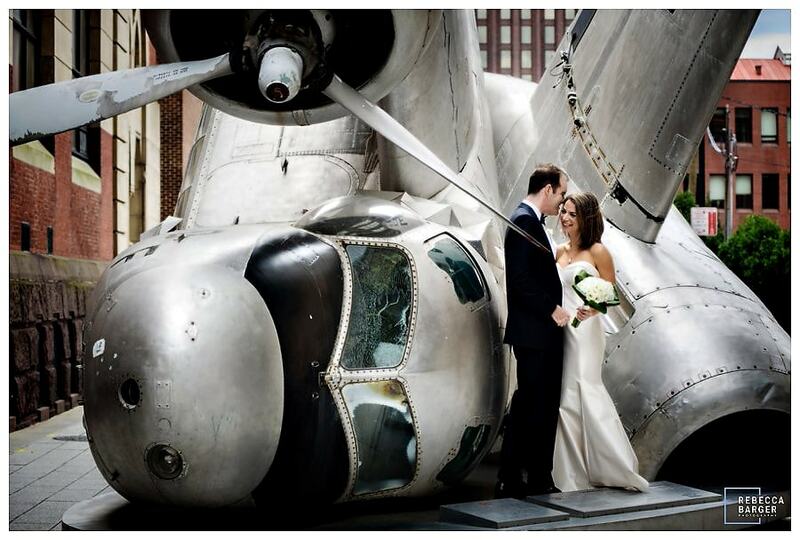 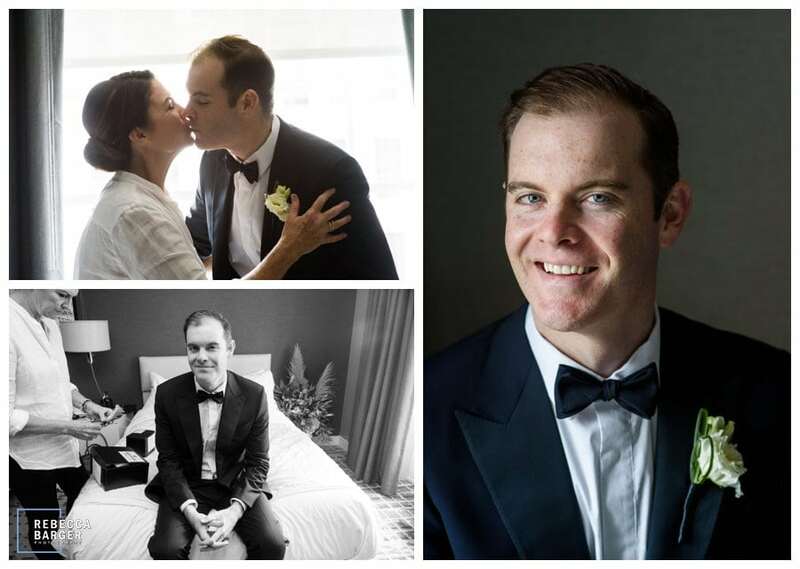 Best Wishes Emily & Johnny, Rebecca Barger Photography.